1. Sweater. I wish I had knit it. I actually wish I had designed the pattern. 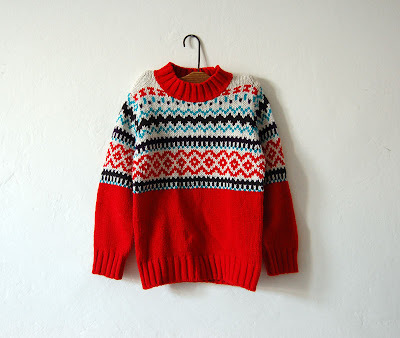 Now the challenge would be to knit it, a larger version. Bought on discount ridiculously cheap. 2. Now I have my own Japanese pattern book. I don't understand anything, of course, but I vaguely remember about the title to say something about New York. That is all I need to know. There is lot of girlish stuff, so I have to leave that out but I especially dig the suit jacket for a little boy. It is kind of conservative look for kids, but I don't know why, they look cute in it. Definitely cuter than in a teenage like clothes with characters from animated TV series that he even doesn't know. Well, some of them. There is something romantic in a suit jacket. And something naughty in teenage like T-shirts. Will he wear the jacket once I finish it? Good luck with the japanese. I think he will wear the jacket, specially if you let him choose the buttons for it! That's a good project, Magda. 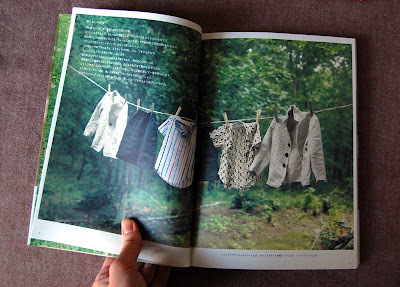 When my boys were little, I sewed clothes for them using Burda patterns (nothing as complex as a jacket). They never worked well: too wide. 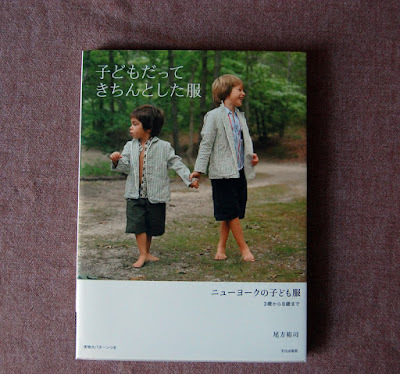 For Rebecca, I bought a few Japanese books: no much luck there either, such shapeless clothes. I'm now coveting a new French sewing pattern book, in FRENCH, a language with the same root as Italian! Good luck with reading the patterns, they look like a random jumble of lines at first! What French book are you coveting? Lovely to look at - not sure about to play in. And who cares about understanding the instructions. We can just amuse ourselves with the styling. Wow, that sweater is beautiful. Where's the image from, if you don't mind me asking? It comes from my kitchen. Both, literally and metaphorically. The sweater is great. I love the patterned sweaters. I have a couple of Japanese books - I even have one in English which is great. I love looking at the photos. The Japanese books just know how to stage things to make gorgeous photographs. I never make anything from them. But, I love to browse through them. I've got a couple of japanese books of patterns and they seems complicated but they are very easy to make, quite straightforward and you don't need to know japanese, so far I made 2 tops for my daughter one for myself and a couple of little dresses, they give you lots of satisfaction!